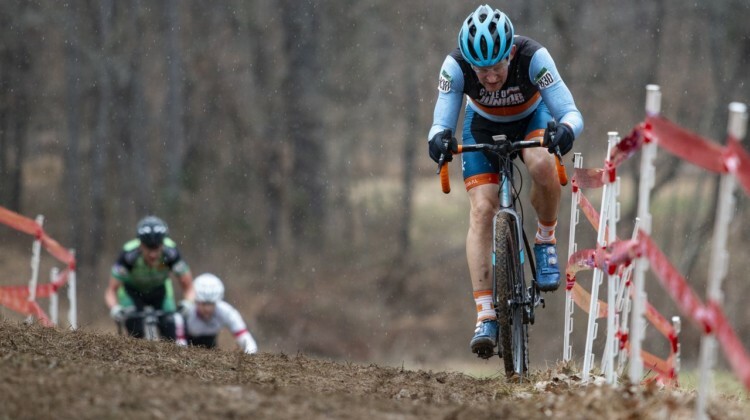 There was no shortage of epic at the 2018 Lousiville Cyclocross Nationals. 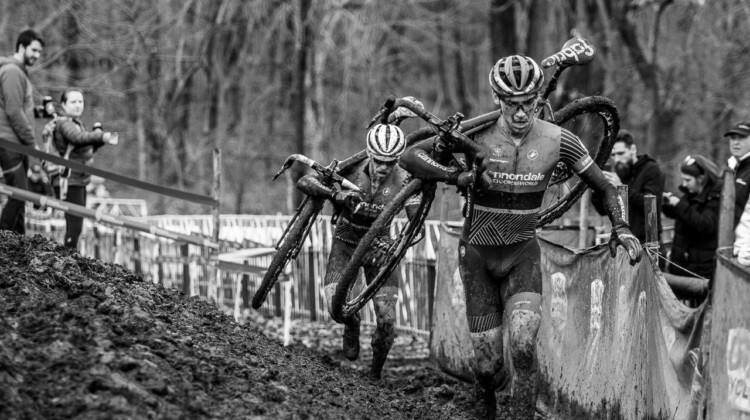 Head back to the mud with this impressive gallery from Drew Coleman. 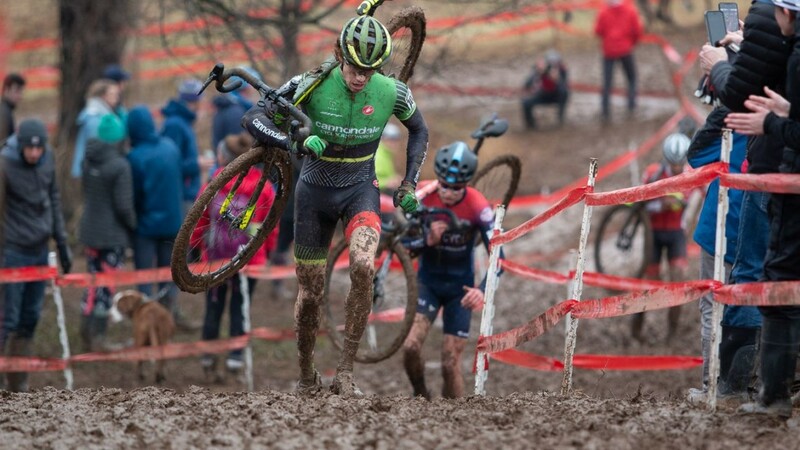 Head into the Louisville mud and relive the messy conditions with Noah Bell’s highlight video from the 2018 Louisville Cyclocross Nationals. 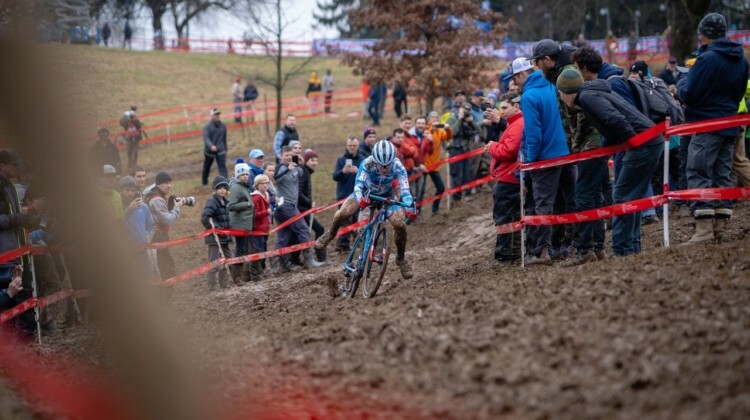 Morton said two summers ago, “I really want to win Nationals…that’s my dream.” His dreams were dislocated before Reno, but in Louisville, he got another shot. 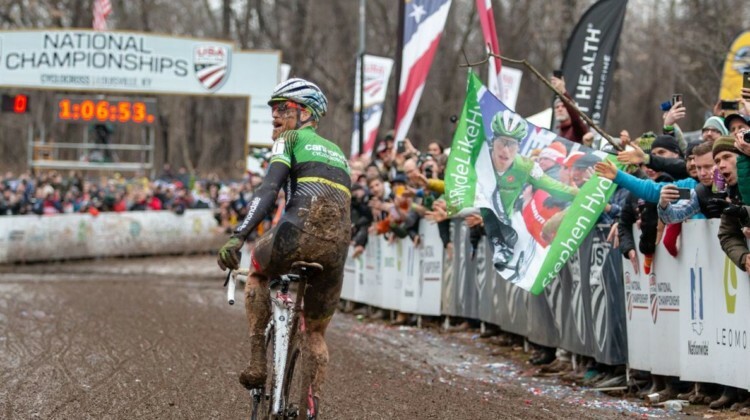 Stephen Hyde outlasted Curtis White and the mud to win a classic at the 2018 Louisville Cyclocross Nationals. 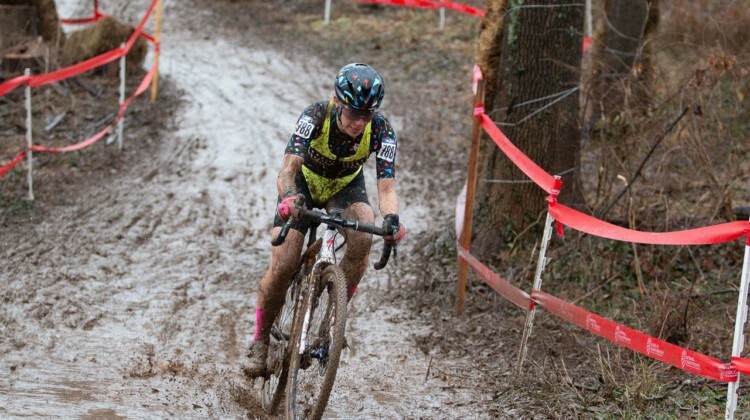 Race report and photos. Katie Compton was powerful and dominant in the mud to win her 15th-straight national championship at the 2018 Louisville Nationals. Report and results. 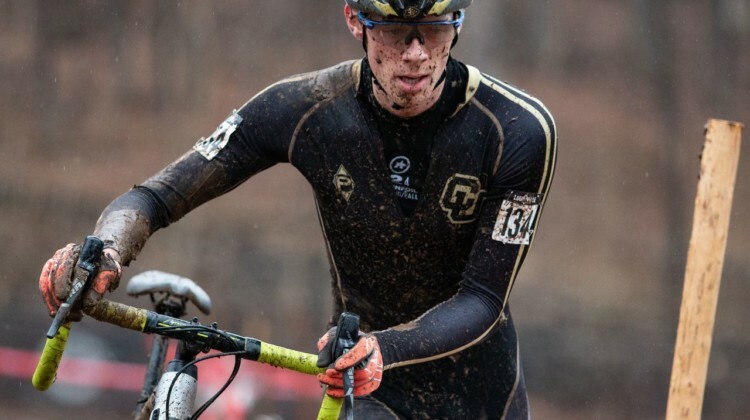 Stephen Hyde won his third-straight National Championship after a tough duel with Curtis White at the 2018 Lousiville Cyclocross Nationals. Full results. 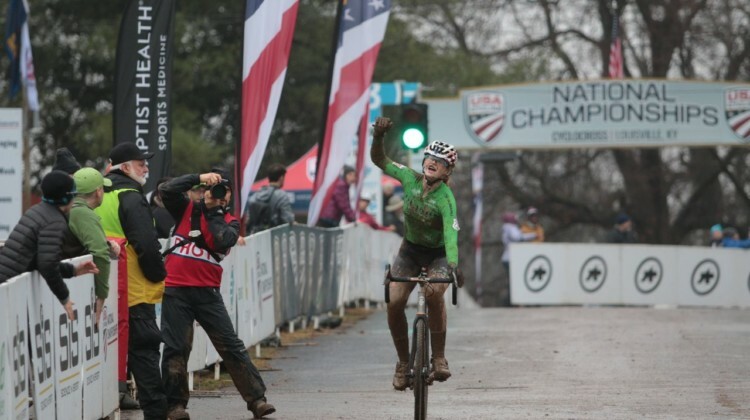 Alex Morton’s year wait was worth it when he took the 2018 Junior Men 17-18 National Championship in Louisville. Full race results. 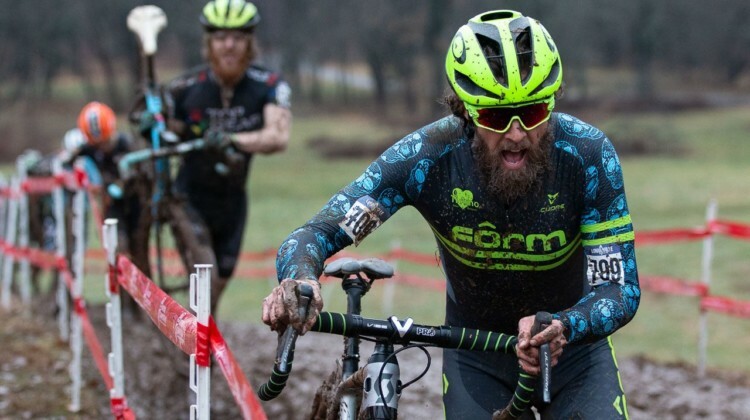 Jake Wells was the Comeback Beard with a last-lap push to take the Men’s Singlespeed race at the 2018 Louisville Cyclocross Nationals. Report and photos. 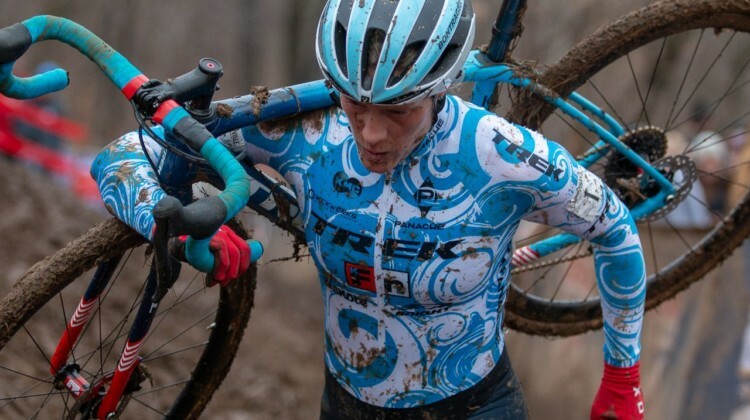 Sarah Sturm wore her lucky #sscx corset and got out to a fast start to win the 2018 Women’s Singlespeed National Championship. Report and photos. 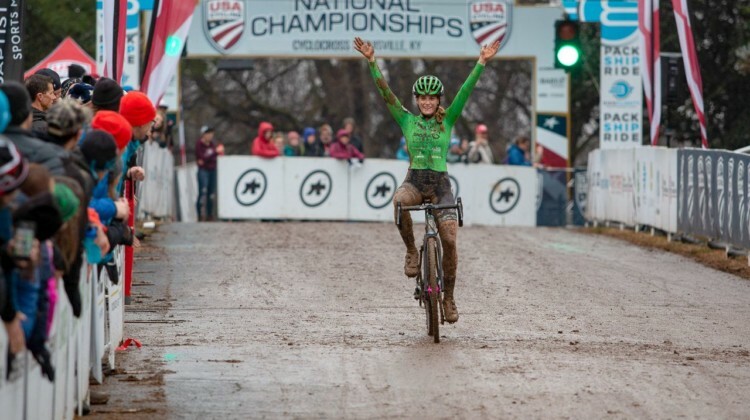 Lauren Zoerner completed a comeback win with a dominant last half-lap to take the Junior Women 15-16 National Championship. Get the story and photos. 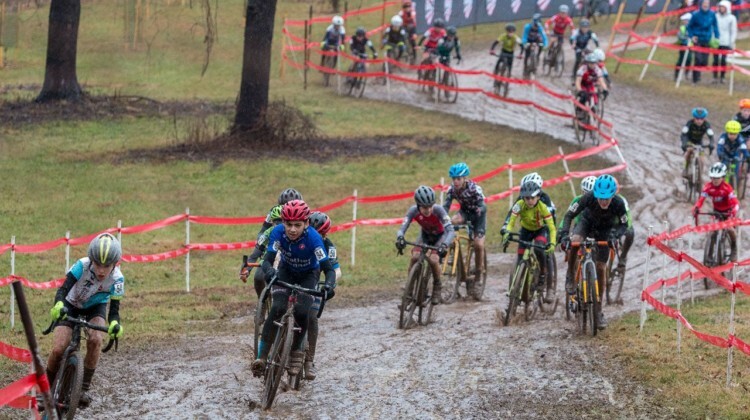 Ivan Gallego started slow and finished fast to win the Junior Men 15-16 race at the 2018 Louisville Cyclocross Nationals. Report and photos. 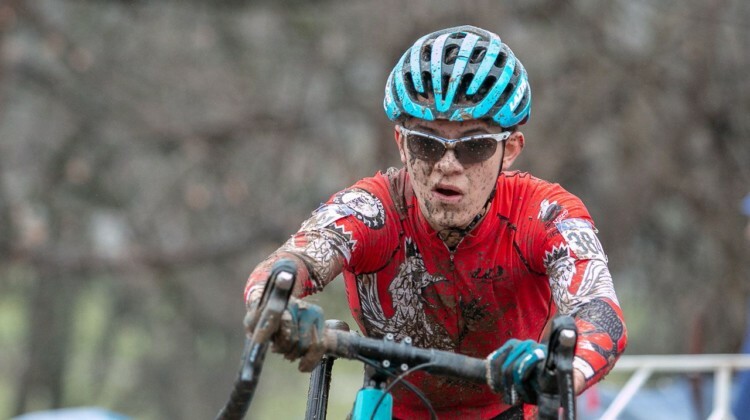 Californian Eire Chen and local George Frazier took wins in the Junior 11-12 races at the 2018 Louisville Cyclocross Nationals. Reports and photos. 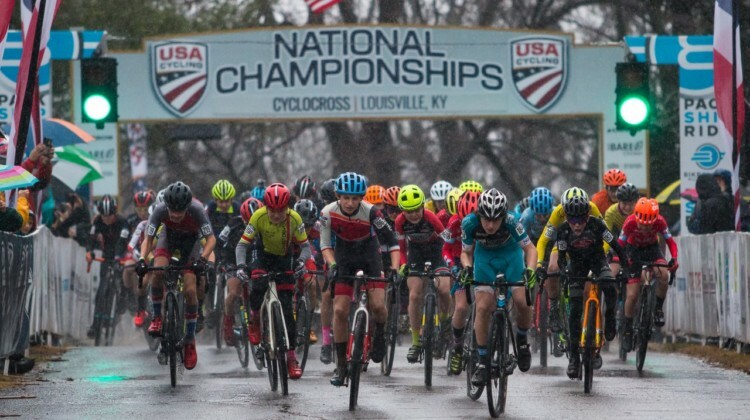 Ella Brenneman and Ian Brown started Saturday with Junior 13-14 National Championships in Louisville. 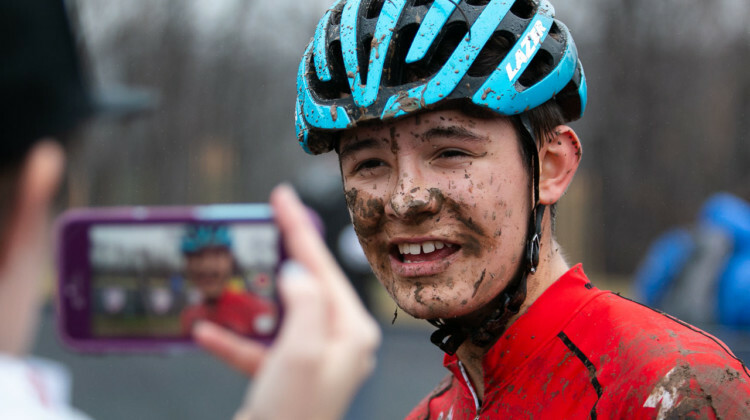 Report and photos from Junior 13-14 races. 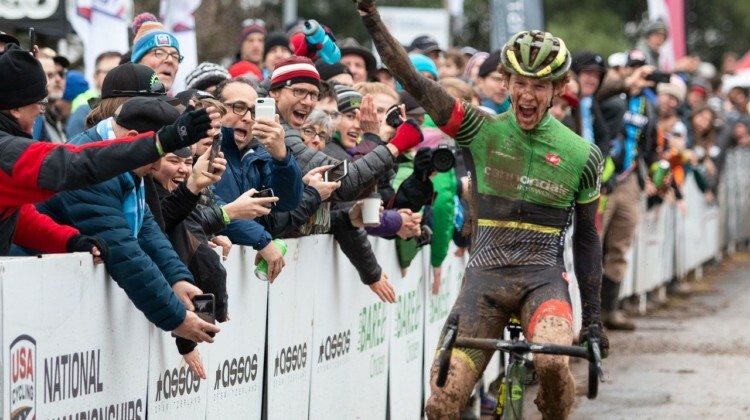 Jake Wells completed a last-lap comeback to win the Men’s Singlespeed race at the 2018 Louisville Cyclocross Nationals. Full results. 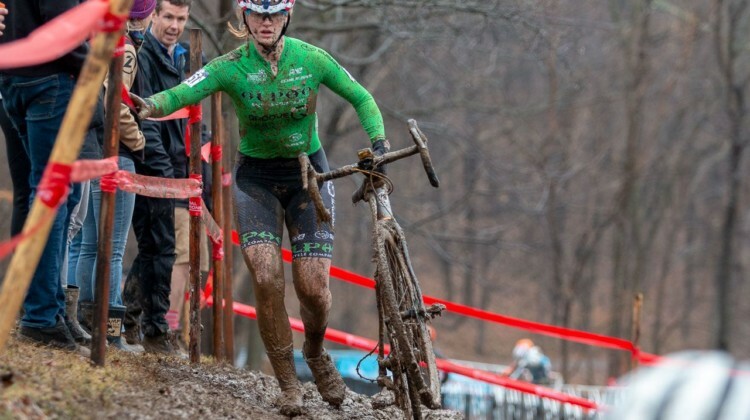 Sarah Sturm got an early lead and rode solo to win the Women’s Singlespeed title at the 2018 Louisville Cyclocross Nationals. Full race results. 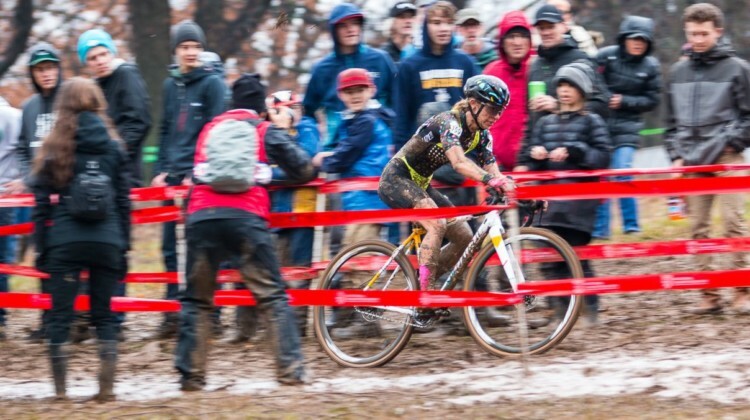 Lauren Zoerner had a big last-lap comeback to win the Junior Women 15-16 race at the 2018 Louisville Cyclocross Nationals. Full race results. 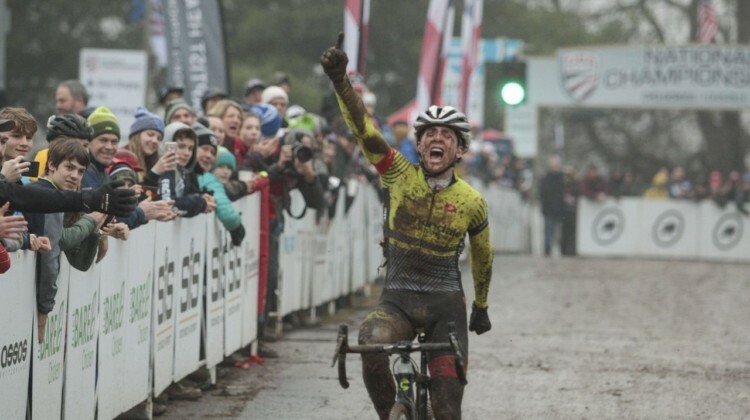 Ivan Gallego took control of the Junior Men 15-16 race early on and held on to win at the 2018 Louisville Cyclocross Nationals. Full race results. 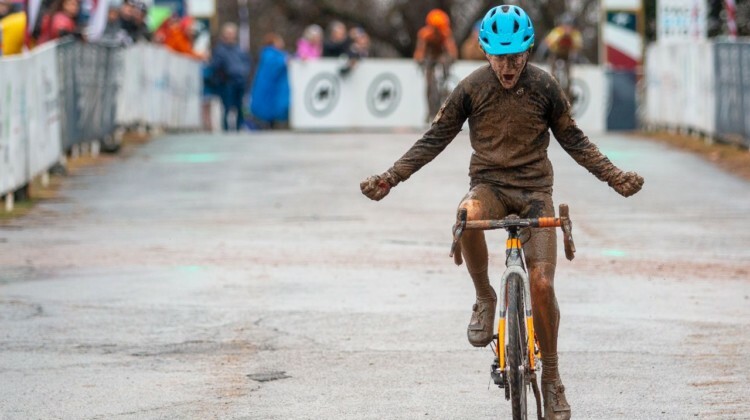 George Frazier rode and ran to a Junior 13-14 title at the 2018 Louisville Cyclocross Nationals. Full race results. 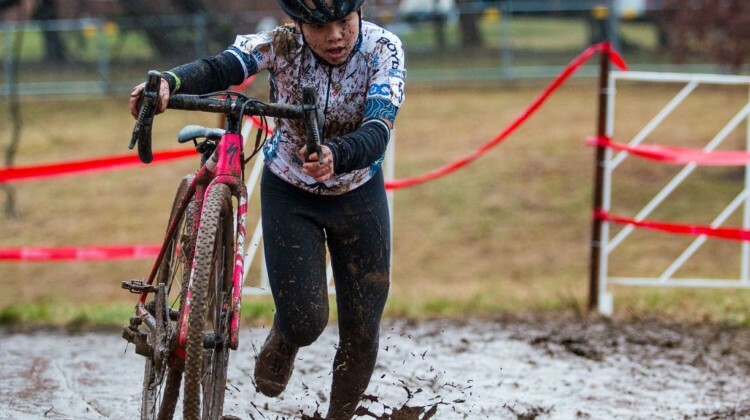 Eire Chen took the Junior Women 11-12 title in a close finish at the 2018 Louisville Cyclocross Nationals on Saturday. 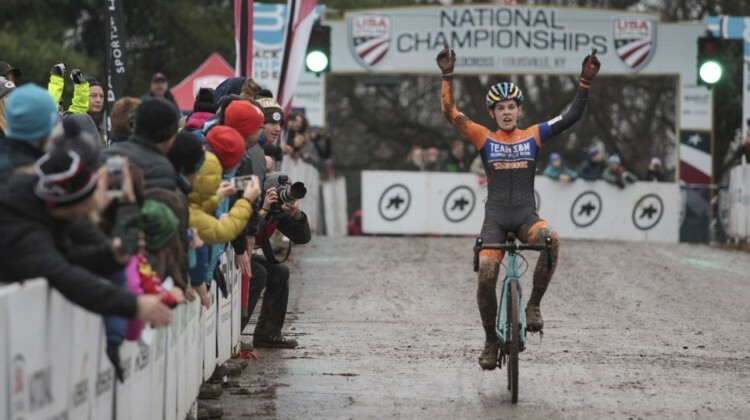 Full race results. 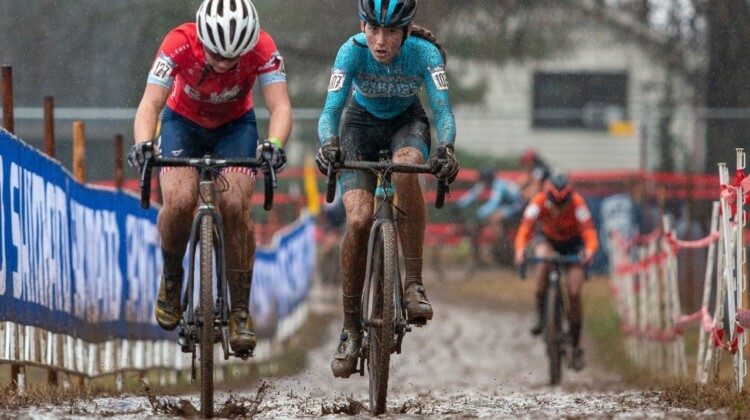 Ella Brenneman started fast and stayed at the front to win the Junior Women 13-14 race at the 2018 Louisville Cyclocross Nationals. Full race results. Ian Brown of Oregon rode and ran to a muddy Junior Men 13-14 win on Saturday at the 2018 Louisville Cyclocross Nationals. Full results. 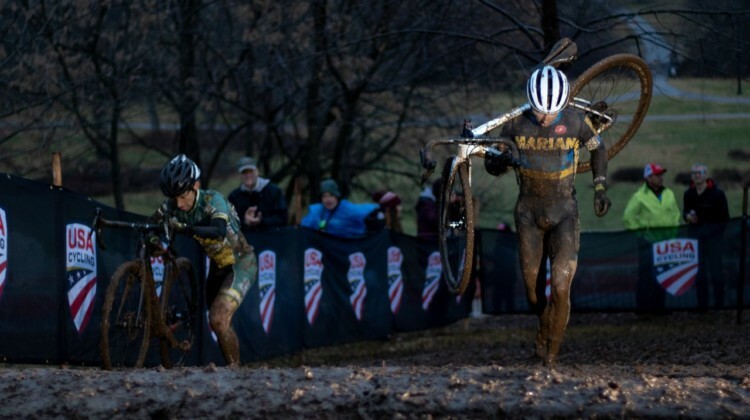 Caleb Swartz and Scott Funston had a muddy, slick battle as this season’s final USA Cycling exam. 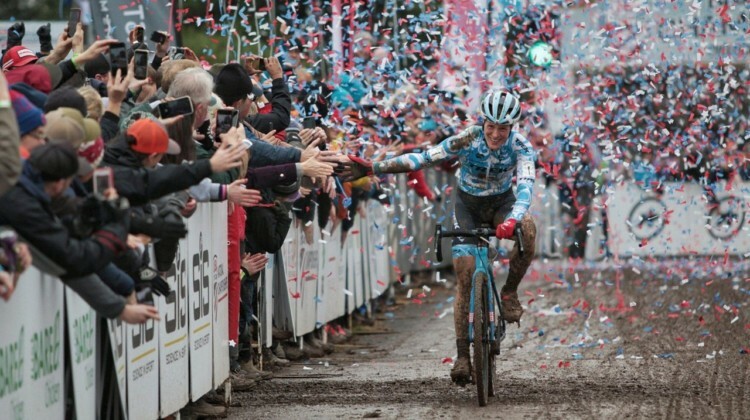 Report, results, photo gallery and interview. 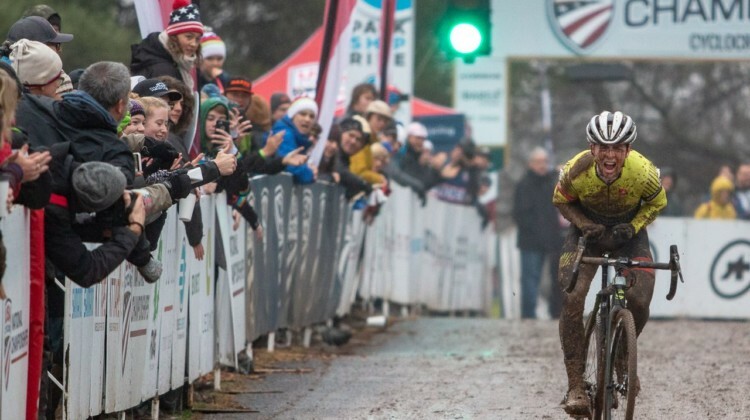 Grant Ellwood and Cooper Willsey slid to an early lead. Ellwood was determined to end his string of seconds. Get the full story. 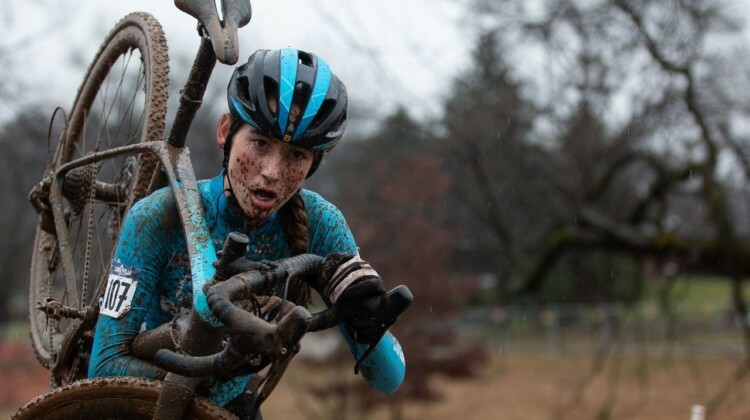 Report, results, gallery. 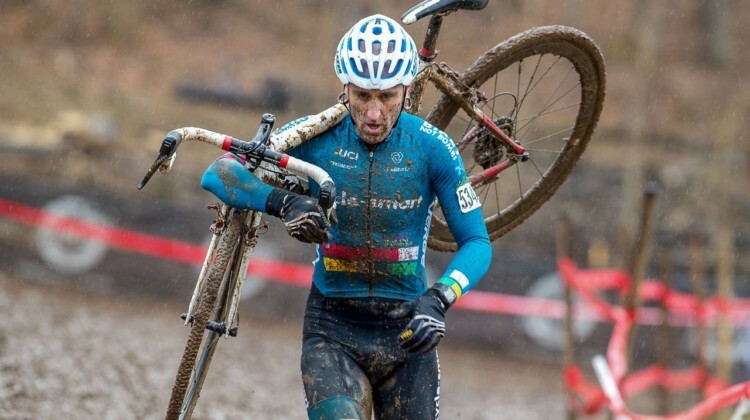 Adam Myerson used his experience in muddy conditions to win the Masters 45-49 National Championship in Louisville. Get the story and photos from the race. 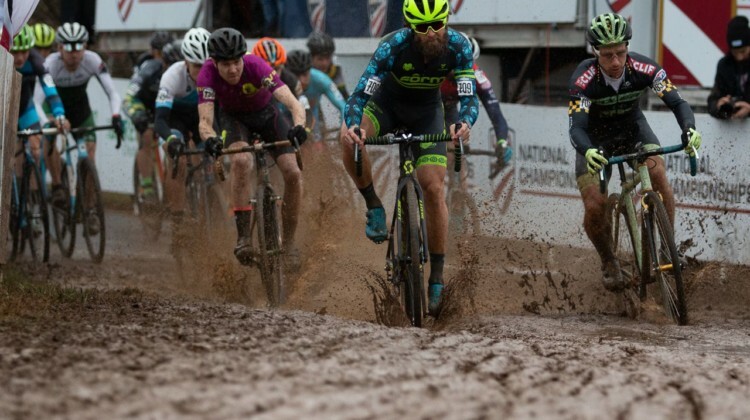 Craig Undem had a dream ride, staying out front on the muddy course to win the Masters 55-59 race at the 2018 Louisville Nationals. Report and photos.